Personal information is collected automatically by the Site or received via multiple sources: forms, e-mail, apps, devices, social media and other means. • Browsing data: The Site collects non-sensitive browsing data by automatic means in order to enable and improve user navigation (e.g., IP address, date/time of the visit and its length, any referring URL, the pages visited on the Site, the device used and other information). The processing of such information allows users to access the Site and fully enjoy its features and services. Furthermore, browsing data may be used to verify that the Site is functioning properly. From time to time, browsing data are processed anonymously for statistical purposes. Browsing data are unlikely to allow identification of the relevant data subject. However, by their very nature, browsing data may allow identification of the users if associated with other information. The browsing data described above are stored only temporarily in compliance with the applicable law. • Orders: At checkout, the Site asks users to provide personal information for the essential purpose of fulfilling their purchase orders and comply with contractual obligations (e.g., name and surname, e-mail address, delivery address, etc.). Such personal information is also essential for the Customer Service to assist customers on enquiries and for any related necessity, before or after the sale (for instance, with respect to the order delivery status or on product returns). Personal information related to orders will be stored as long as required to comply with contractual obligations and with the applicable tax and financial reporting obligations. The Site may also verify the payment instruments used by customers to purchase on the Site (e.g. credit or debit card, etc.) for the main purpose of preventing fraudulent activities or pursuant to the applicable anti-money-laundering laws. As full reliance for payment verification is given to third party payment processors, the Controllers do not process or store any financial information belonging to customers. Failure to provide the personal information required at checkout will prevent users from completing an order on the Site.Based on its legitimate interest to improve its relationship with customers, the Site will send to the latter email communications with product suggestions, discounts, feedback requests or other updates. Customers are always free to unsubscribe from such email communications (for instance, by clicking on the “unsubscribe link” at the bottom of each email). • Site registration: When users opt to register a personal Site account, they are asked to submit personal information (e.g., date of birth, gender, etc.). The Site clearly indicates which personal information is mandatory (or not) to set up a Site account. Users must submit personal information that is true and accurate at the moment of registration and are invited to maintain their personal information up-to-date (if any modification occurs) by logging into the personal account to make all relevant changes. - By contacting our Customer service. • Profiling: Under the explicit user’s consent, newsletter and marketing communications may be tailored to the user “profile”, based on the personal information the Site collects or receives about the concerned user. With respect to the customers of the Site, it is in the Site’s legitimate interest to process personal information to offer more interesting products, to improve the Site and to personalize the products offered on the Site. The main purpose of profiling is to propose products, services and initiatives more responsive to the tastes, shopping habits and interests of users and customers. Personal information may be also used for remarketing, retargeting or profiling purposes, including via third parties (e.g., social networks, etc.). Neither the Site nor the Controllers will ever carry out any profiling activities relating to children. The Controllers must always reserve the right to disclose personal information about users as required by law (for instance, in response to law enforcement requests), and where needed to protect the rights of the Controllers or their affiliates or third parties. Moreover, personal information may be disclosed to other companies within the same corporate group of each of the Controllers, or to third parties in the event of a corporate restructuring process, in full compliance with the applicable law. In any other cases, the sharing of personal information will be conditional upon the preliminary and explicit consent of the user, unless processing is allowed under an alternative legal basis. 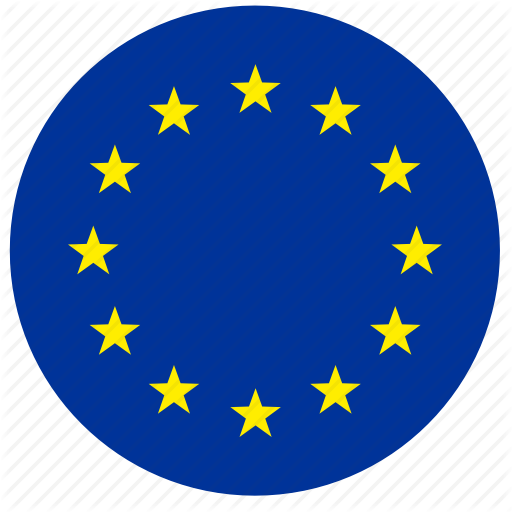 The Controllers will not transfer any personal information outside the European Economic Area (EEA), unless the user has explicitly authorized such transfer or the transfer of personal information outside the EEA is allowed by the GDPR on another legal basis. Personal information of users is processed by the Controllers with IT, automated and electronic tools and, in limited cases, by using documentary means. In accordance with the GDPR, specific security measures have been implemented to prevent data loss, unlawful or improper use, and unauthorized access. Only authorized employees of the Controllers, and authorized employees of the third-party suppliers, acting as Processors on behalf of the Controllers, have access to personal information related to the Site activities. Data processing agreements are in place with the Processors to ensure that they always meet the level of security required by the GDPR while processing personal information related to the Site activities. While the Site adopts primary security measures to prevent loss, destruction or dissemination of personal information, at the same time it cannot exclude the safety risks that are naturally involved by online transmission of data. The user accepts the inherent risks of providing personal information over the internet and will not hold the Site responsible for any breach of security, unless this breach is due to the Site’s negligence or willful default. The Site may contain banners, advertising messages and other links to third-party websites or platforms. The Controllers cannot control or be held responsible for the conduct of such third-party websites or platforms with respect to privacy law. Users are encouraged to read their privacy policies to verify how they collect and process personal information.